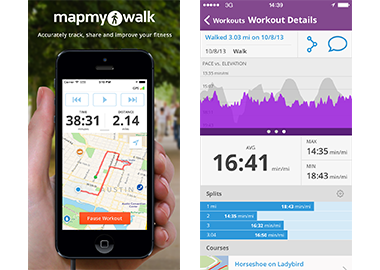 MapMyWalk uses GPS technology to provide walkers the ability to map, record and share workouts. 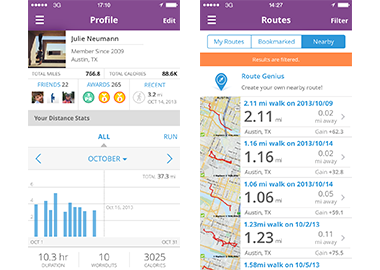 Set goals and track your progress with detailed performance charts and online training tools. Find popular walking trails near you with a searchable database of over 70 million local routes. Users can also Import workouts from 400+ compatible devices, including Garmin, Polar, Jawbone and Fitbit. 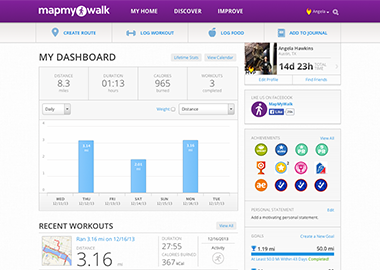 Get credit for all the calories you burn by linking your MyFitnessPal account with MapMyFitness. 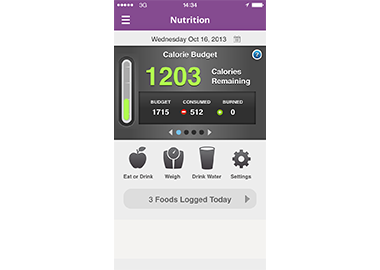 Once connected, view your workout stats, calorie burn and nutrition data within the same dashboard.